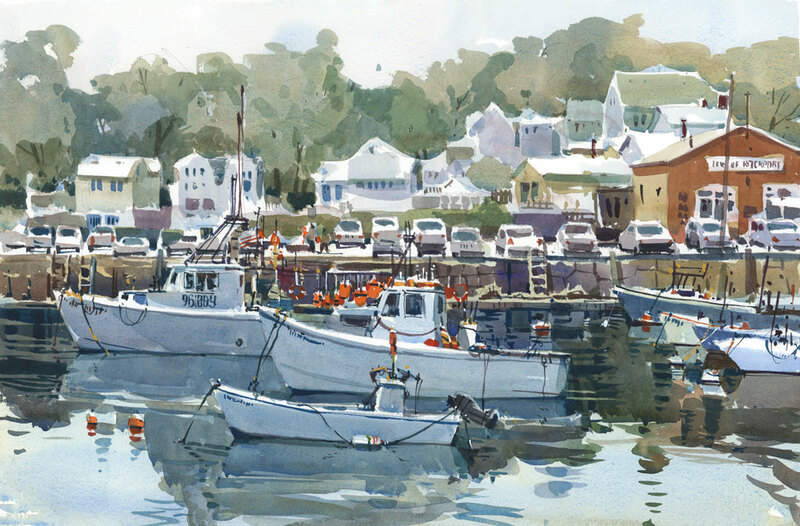 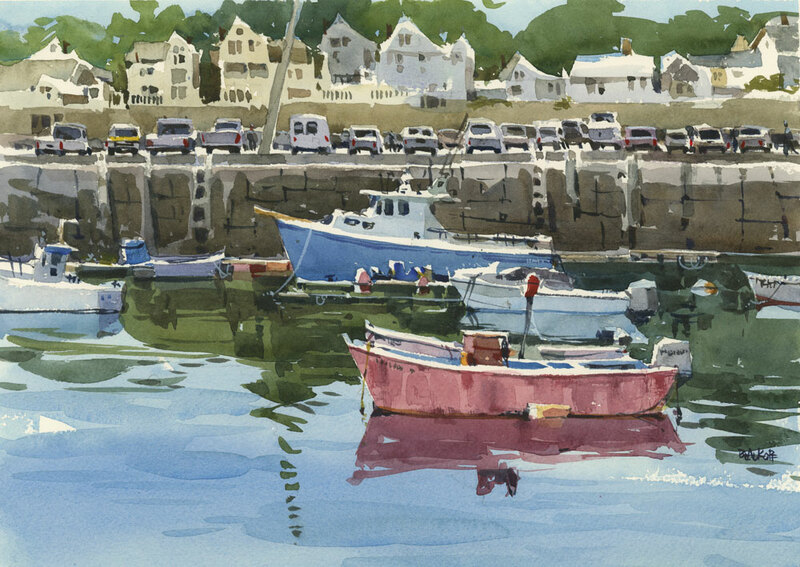 I ended up painting in Cape Ann, Massachusetts quite by chance a few years ago, but I have developed a real connection with the place. 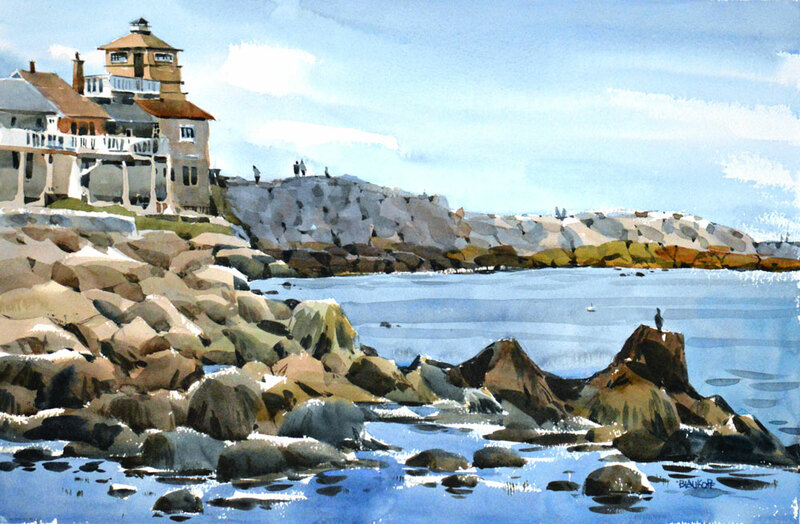 From the abandoned granite quarries in Halibut Point Park to the industrial boatyards of Gloucester to the little tourist shops along Rockport's Bearskin Neck, there's enough for me to paint there for years to come. 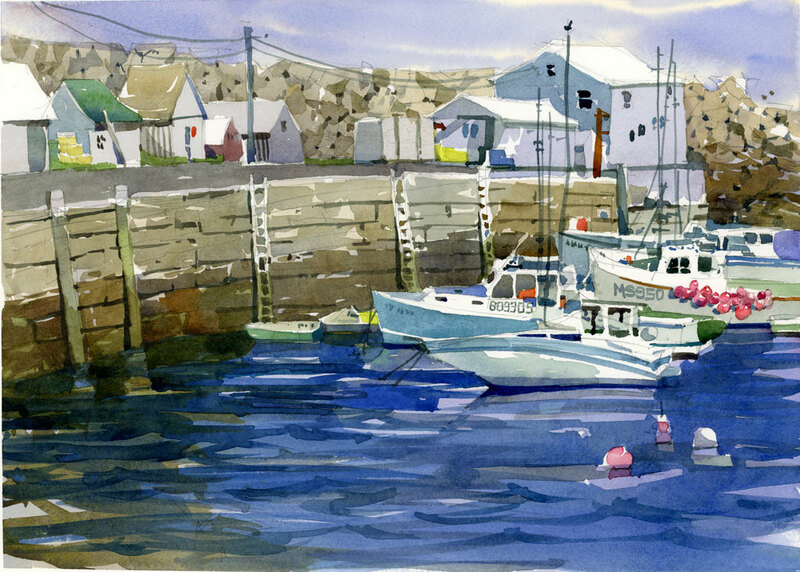 My favourite time to sketch in Rockport is at day’s end, when all the tourists have gone home, the streets are quiet, and the views of Motif No. 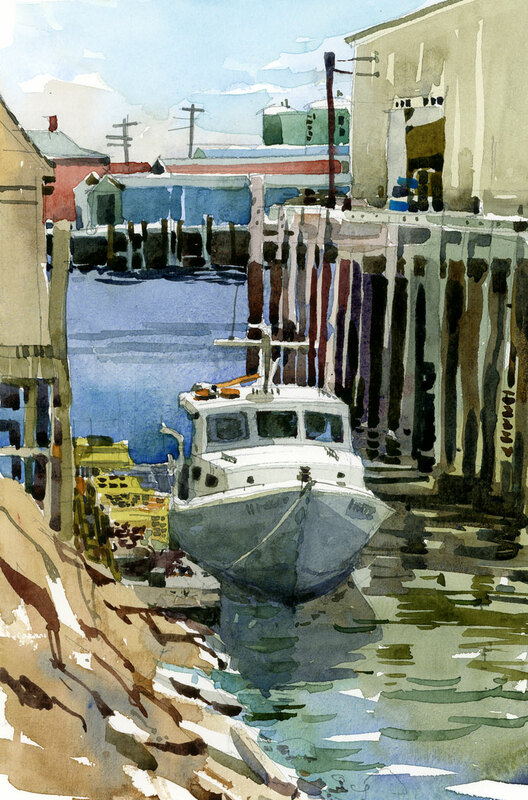 1 are mine alone.